Call Today or Click Below To Schedule An Appointment! Reach Out To Take Advantage Of Our Probate Law Services! Whether your loved one named you the executor of their estate or you want to draft a valid will and trust, you won't regret choosing the Law Office of Alexander Matulewicz for help. Our attorney uses over 41 years of experience to guide you through the probate and estate planning process. Our Experienced Attorney Can Help! Don't start the probate or estate planning process without a knowledgeable attorney helping you. From health care directive and power of attorney creation to probate administration, we're your smart choice when you need legal assistance. Schedule an appointment with the Law Office of Alexander Matulewicz immediately - call (508) 660-0331. The probate process can be confusing, lengthy and filled with emotional turmoil. The Law Office of Alexander Matulewicz in Walpole, also serving Foxborough, Norwood & Sharon, MA will put your mind at ease by informing you of everything you should expect before we start administering your loved one's assets. Our firm focuses solely on probate law and estate planning, making us experts in this legal arena. Get in touch with the Law Office of Alexander Matulewicz about your will, trust or probate need right now. 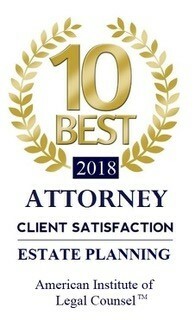 Many thanks to Amy and Alexander; As with many of the reviews I read while looking for an attorney in Probate Law, many were Estate Lawyers with same old story. Many Estate Lawyers make the same claims, we can't promise anything, but we want $4000 up front and with standard billable hours that is just the beginning. In layman's terms your about to get hosed. Regarding Amy Strand, you could not find a better advocate in dealing with Probate Court cases, her knowledge of probate law is extraordinary, her persistence in fighting for your cause beyond doubt, and it does not hurt to have a good working relationship with the people working in the local area Probate Courts. They respect her work and her ability in the language of Probate Law. As for Alexander, I only had a little interaction with him. He did appear to be a strong advocate if you case enters into a court room battle. He gives you his honest opinion and keeps to his word. He was very helpful in explaining the legal aspects to me. While other Estate Lawyers use fear as a way to leverage money out of you, Amy and Alexander work to put your mind at ease. As you may have guessed Amy and Alexander were not my first legal counsel in this mater, they were most certainly my absolute best selection. My experience with Attorney Matulewicz has been nothing but positive. The case i am involved in has been ongoing and thus far, he has properly represented me in court three times. Aside from court appearances, he has taken the time to meet with me on numerous occasions at his office and by phone. He is a busy man but always makes the time for his client. He is fair, sets realistic expectations, and works incredibly hard for the desired result. I will continue to work with him and i highly recommend him. Attorney Matulewicz is incredibly professional, knowledgeable, and unbelievably dedicated to achieving the desired results for his clients. I reached out to him based on a referral I received from a colleague and needless to say, I was not disappointed. Ours was what should gave gave been a straightforward care and custody agreement, but as with many domestic cases, there were many detours encountered along the way, none of which ever phased Attorney Matulewicz. My family put our trust and confidence into this man and a result, we came to a suitable agreement with the other side, and I now look to Al as a trusted advisor. Working for a top global law firm, I am exposed to a myriad of different attorneys daily. No one has the personal touch, the humane approach, or the capacity to truly "see the bug picture" the way this man does. I highly recommend him without any hesitation.